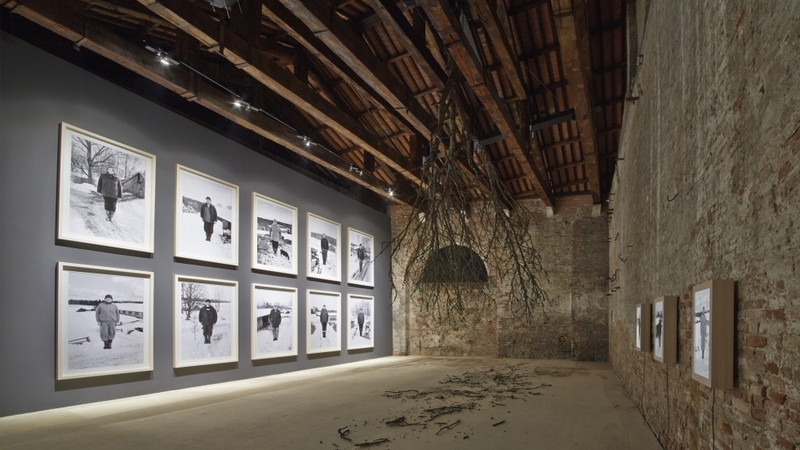 Latvian pavilion at the 55th Venice Biennale (with Kaspars Podnieks). When I was still a small boy, somewhere in Latvia they found the centre of Europe. I do not remember any more, where exactly it was. Since then, we have heard of it having moved to Estonia and Hungary, Belarus and Lithuania where they have even erected a monument and created a themed park. In other words, the centre of Europe has been North, East and South of Latvia. And while we have been desperately trying to slide westwards, our location has not changed, it is still inbetween. But, if we trust Heisenberg's uncertainty principle to be correct and it is impossible to simultaneously know both the momentum and the position of a particle, then the only means of finding ones place is to stop convulsing. Eventually it may turn out that the point of fixation does not have such a central role after all, whereas the movement becomes dignified and sweeping like that of an old tree in the north wind.